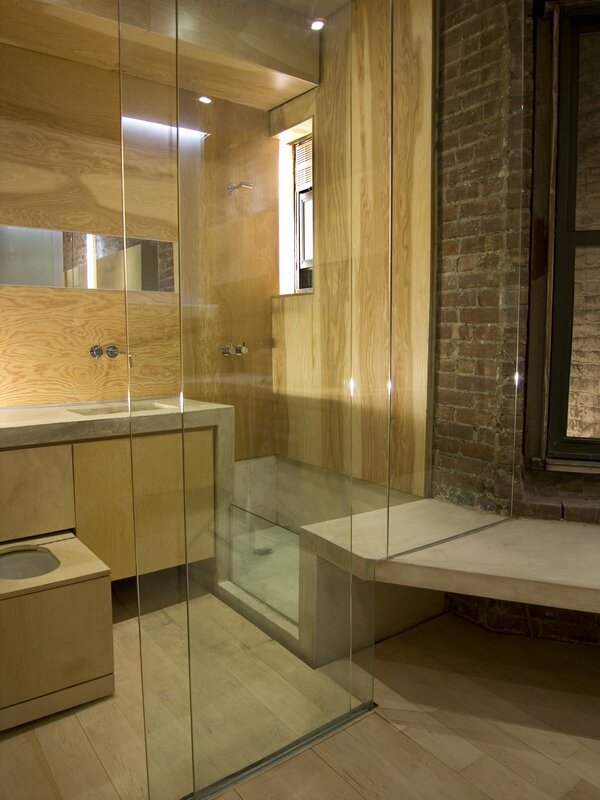 Chan outfitted the bathroom in marine fir plywood from Rosenzweig Lumber for its resistance to high-moisture environments. The fixtures are from Vola; the bathtub, countertop and sinks are of magnesite. The full-height glass is stationary except for a sliding door at left, and a curtain can be rolled down for privacy.